The Society of Ohio Archivists is partnering with the Ohio Local History Alliance for Engage, Educate, Empower: Taking Your Organization to the Next Level. This conference will be held on October 2-3, 2015, at the Holiday Inn in Worthington, Ohio. Also Jennie Thomas of the Rock and Roll Hall of Fame will be presenting in a Local History Alliance sponsored session entitled, ‘A Day in the Life’ of Jane Scott on Friday from 10:05-10:55. Attendees are welcome to attend any of the Local History Alliance sessions, luncheons, and other special events on both Friday and Saturday. The Society of Ohio Archivists is partnering with the Ohio Local History Alliance for Engage, Educate, Empower: Taking Your Organization to the Next Level. This conference is to be held on October 3-4, 2014, at the Holiday Inn in Worthington, Ohio. 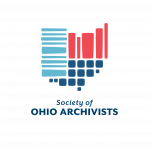 SOA sessions will be held at the same time as the Ohio Local History Alliance sessions on Friday, October 3. SOA members may attend both SOA and OLHA sessions. For more information about the conference, see the meeting brochure. For registration information, see the registration form or register online at connect.ohiohistory.org/events. The Society of Ohio Archivists held its 2013 Fall Meeting in partnership with the Ohio Local History Alliance on October 4-5, at the Holiday Inn in Worthington, Ohio. SOA sessions were held concurrently with the Ohio Local History Alliance sessions on Friday, October 4. SOA members were welcome to attend both SOA and Alliance sessions. The first-ever combined meeting of the Society of Ohio Archivists and the Ohio Local History Alliance was held October 5, 2012 at the Holiday Inn, Worthington, Ohio! A meeting schedule is available at the Ohio Local History Alliance Annual Meeting page. All SOA sessions were held on Friday alongside Alliance sessions. SOAers could attend SOA or Alliance sessions on the Friday program. The Friday registration included lunch with the Alliance and a speaker. Separate registration for Saturday enabled attendance at another full day of Alliance sessions. Online registration was available through October 1st. The special discounted conference hotel rate was $70 per night. Parking was free. Times: 9:00 a.m - 5:00 p.m. Details: Deepen your digital preservation knowledge with a two-day workshop targeted toward representatives from organizations who have acquired or created digital content and are now ready to address the issue of long term access to digital collections by partnering with other organizations. These partnerships can be existing or newly forming intra- or inter-institutional collaborative efforts for digital preservation. matching needs to current digital preservation solutions. The workshop helps participants develop their own digital preservation planning document, and allows time for group exercises and feedback. Presented by: Robin L. Dale, Director of Digital Services for LYRASIS, and Priscilla Caplan, Assistant Director for Digital Library Services at the Florida Center for Library Automation.